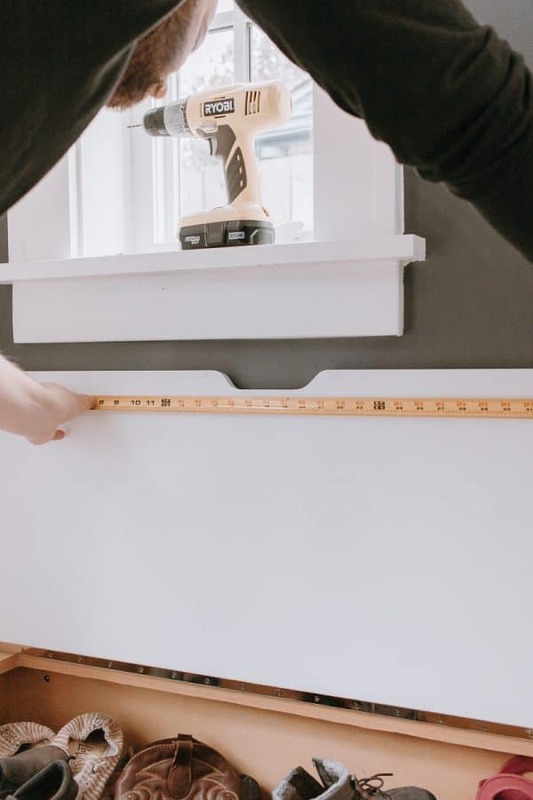 You can make these DIY leather drawer pulls in 5 minutes flat! 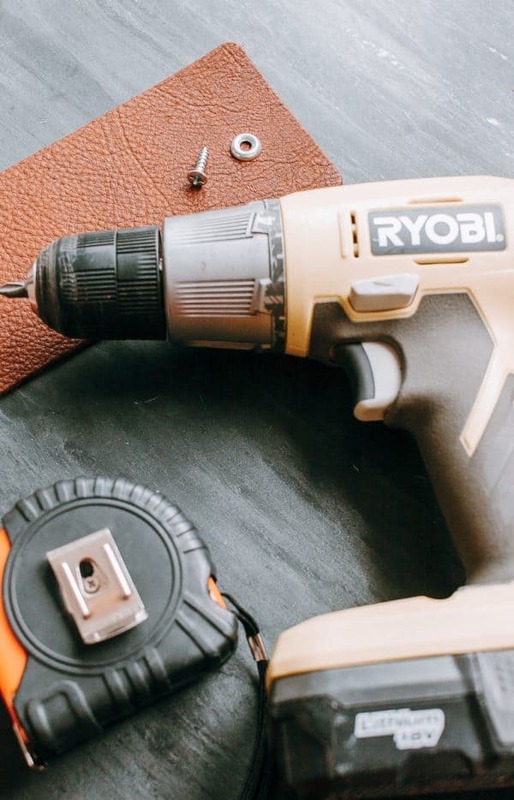 All you need are a few simple tools and some scrap leather. 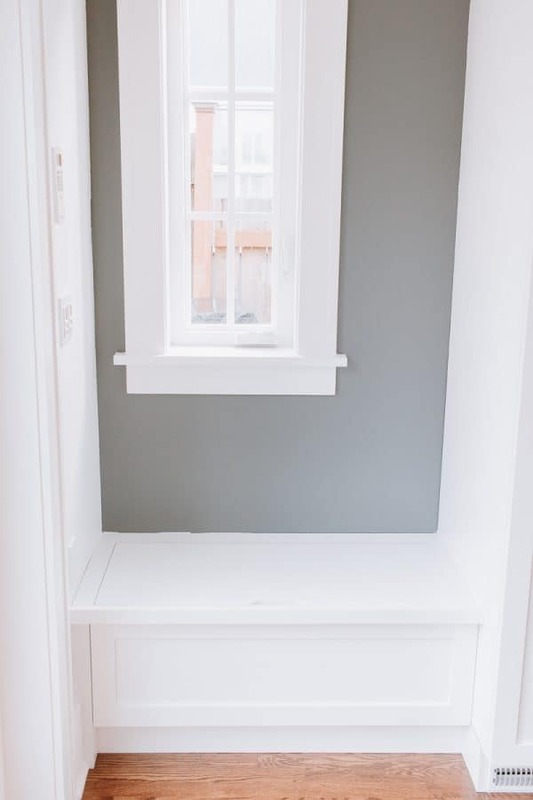 One of the things we love about our new kitchen is this shoe bench area right near our back door. 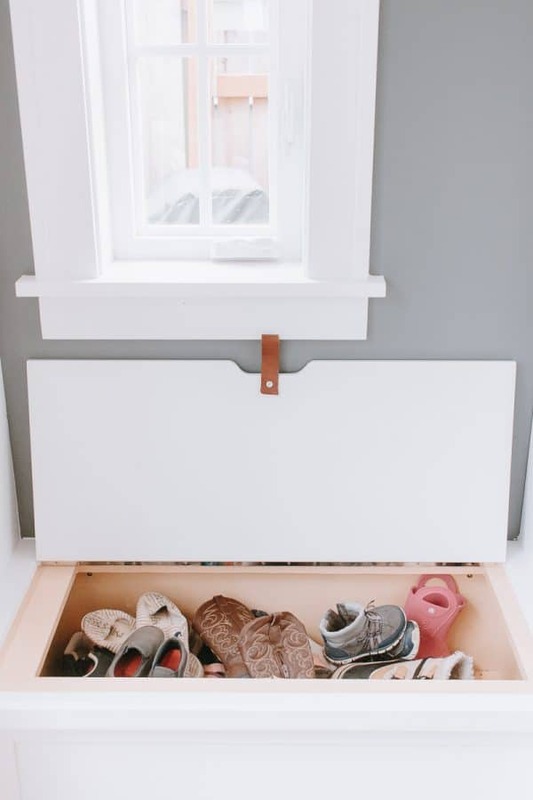 It’s a great place to sit and kick your shoes off – and then simply drop them in this huge shoe bin! The only problem was that it was really difficult to open. 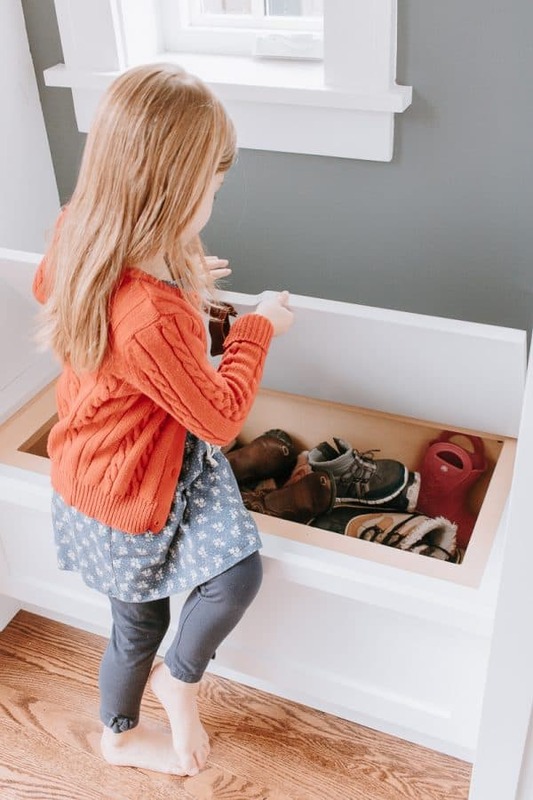 I had trouble with it and my kids definitely couldn’t open it on their own – which meant they never put their shoes away. My husband had the idea to install a little leather drawer pull and attach it to the top. Here’s what you need to make it. 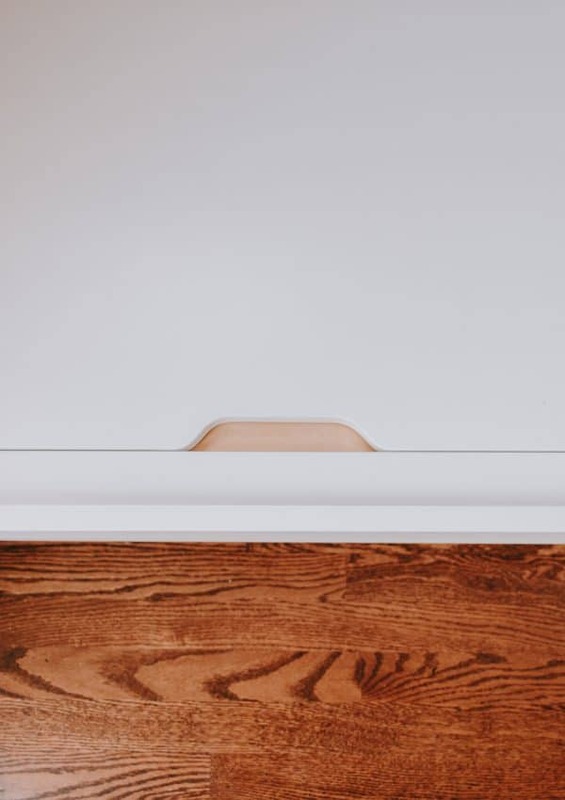 How to Make a Leather Drawer Pull in 5 Minutes! I broke this down into baby steps. 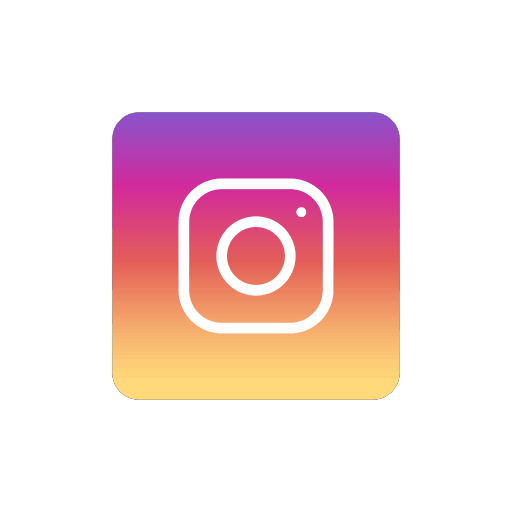 But trust me – this is a very quick project! 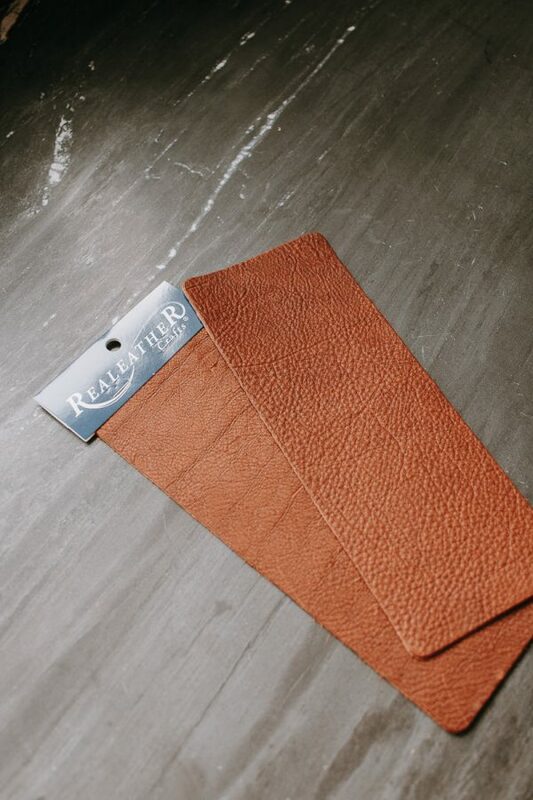 Step 1 : Cut your leather down to the strip size you want. Fold it in half so the ends meet to make a loop. This is handle part of the leather drawer pull. 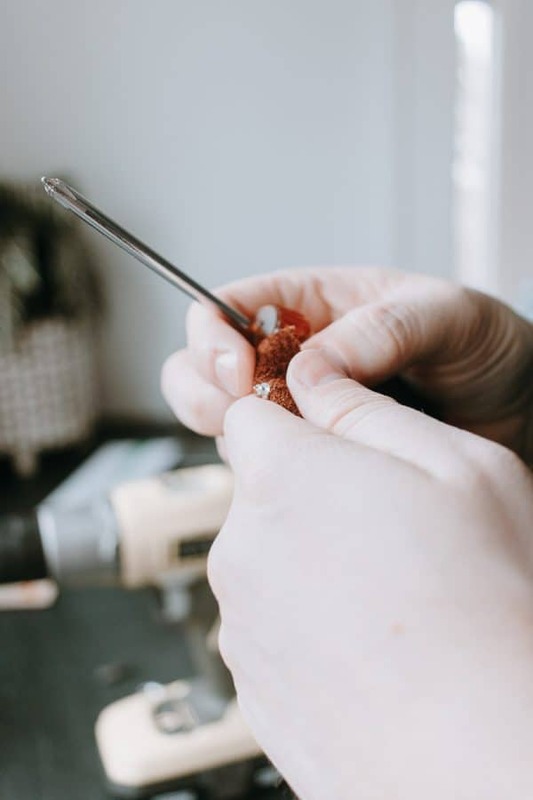 Step 2 : Drill or poke a small hole in the leather where you will attach it to your drawer. 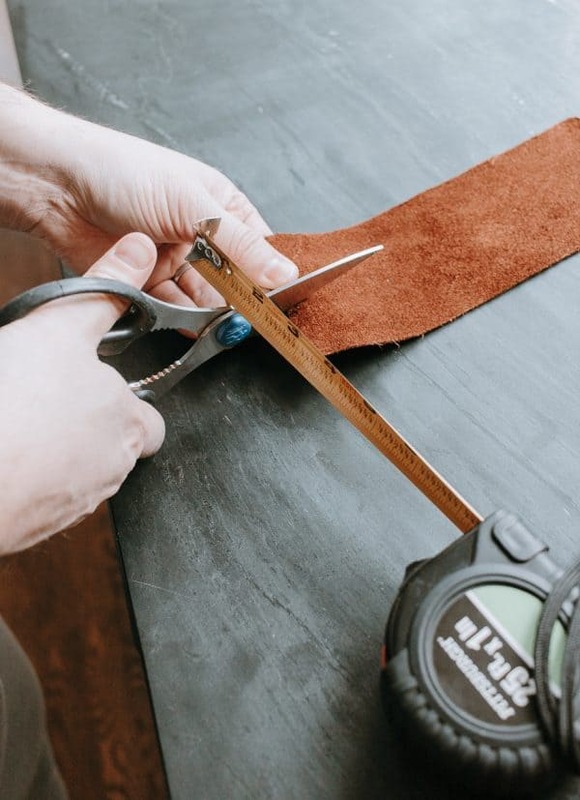 Step 3 : Measure your drawer and mark where you want your leather pull to be. We wanted ours to be right in the center. 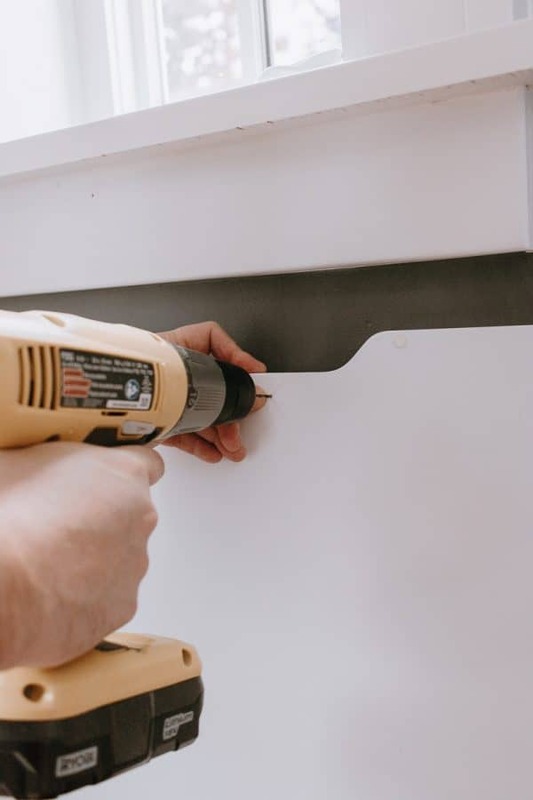 Step 4 : Drill a hole into your cabinet where you want to attach the leather pull. 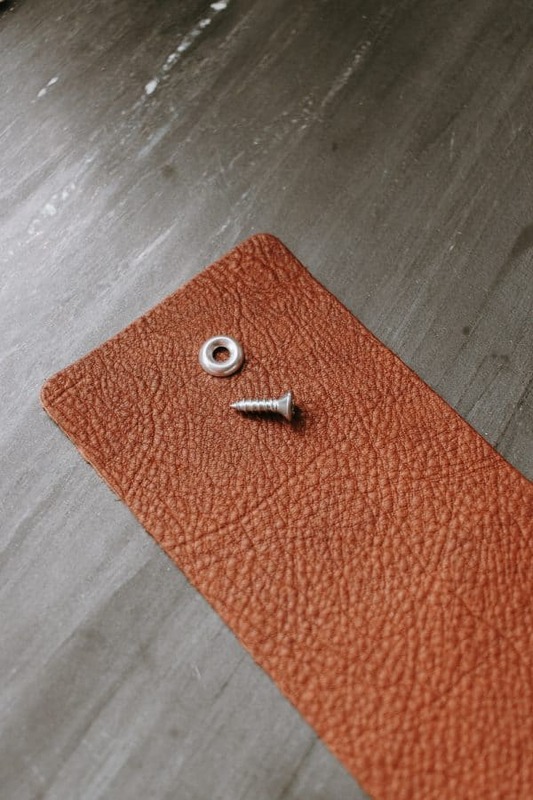 Step 5 : Take your leather loop and insert your screw with the washer through the hole you made previously. 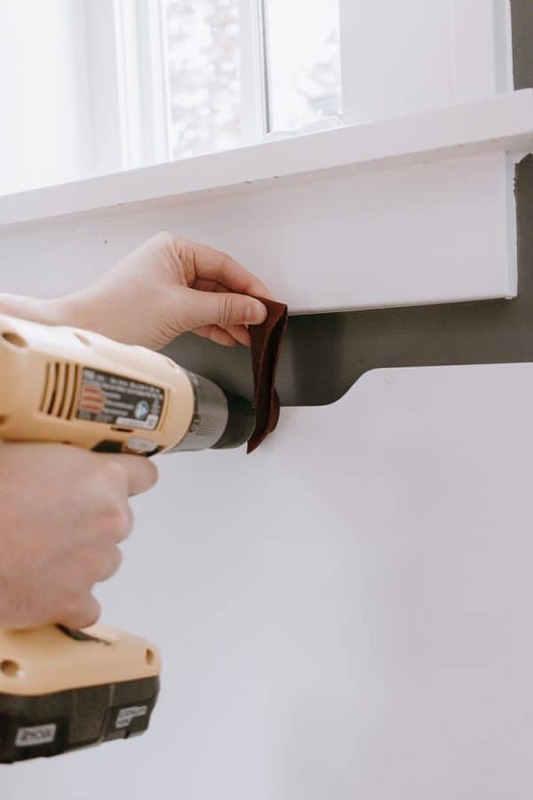 Drill or screw your leather pull to your drawer. 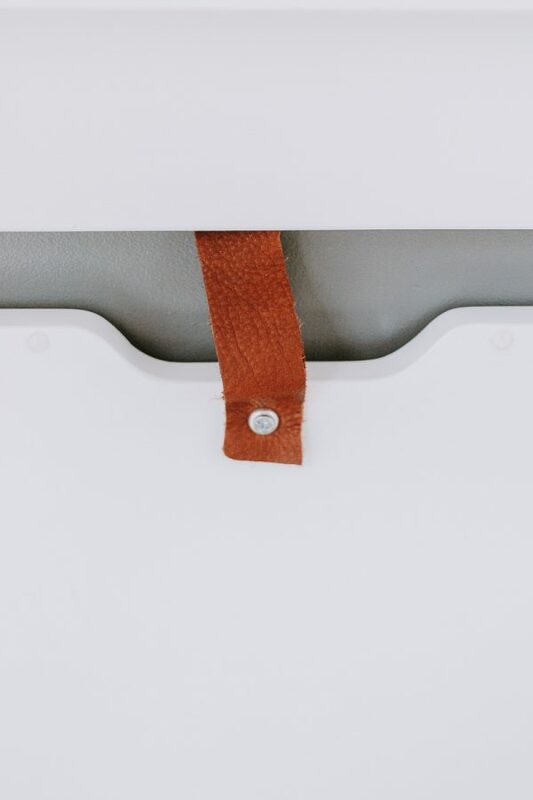 Tip : Make sure to straighten your leather drawer pull before you tighten it all the way to the cabinet (it may twist around while drilling). 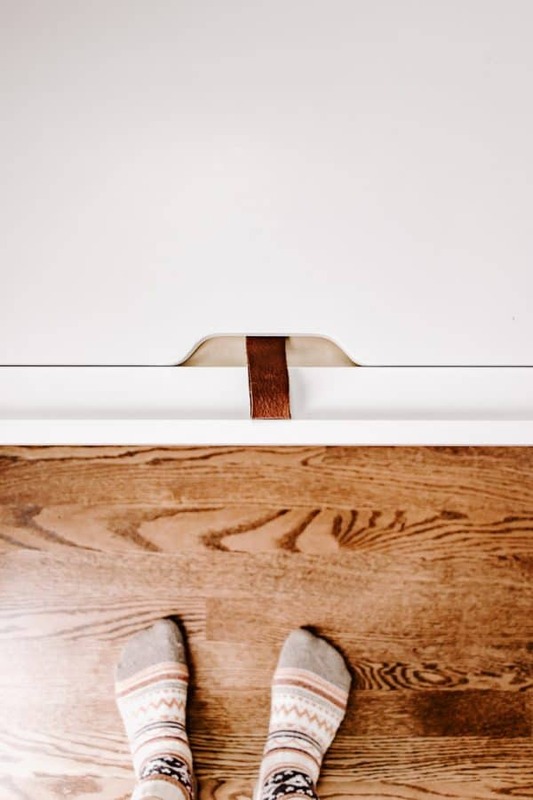 This shoe bin is so easy to open now thanks to a simple DIY leather drawer pull. And it only cost about $6 to make and it took less than 5 minutes to complete. I love these kinds of projects. 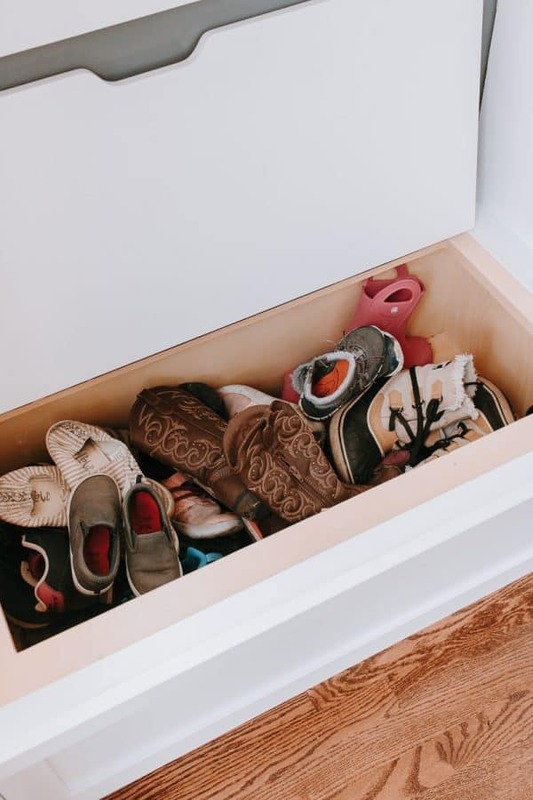 And yes, my kids can open this shoe bin now. That’s definitely a win for us parents. 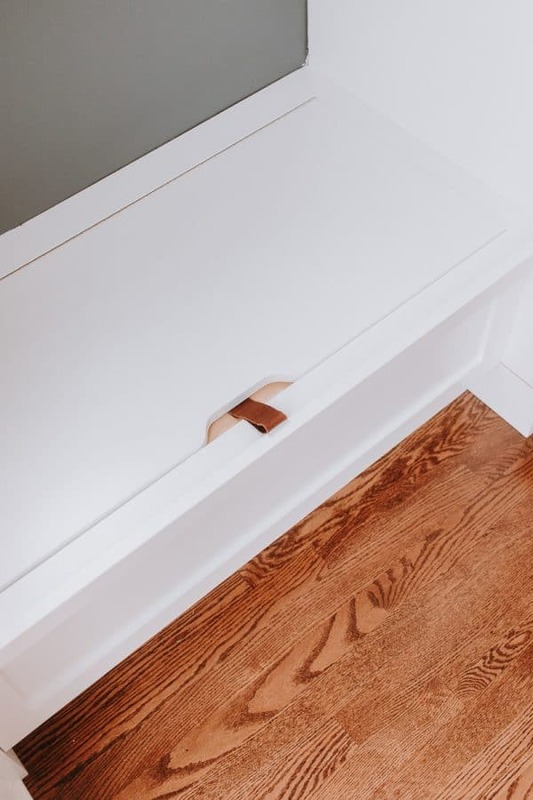 So – if you are struggling with a tough drawer or just want to add a little flair to the design – consider these inexpensive DIY leather drawer pulls.